A team of American experts suggest that women with bulimia establish a different relationship with food as compared to other women. Bulimia nervosa is one of the severest of all eating disorders. A bulimic person consumes large quantities of food and later on vomits it out owing to the fear of gaining weight. Most people even abuse diuretics, laxatives and enemas to achieve the same. Some may even go overboard with exercising to avoid putting on any weight. Bulimia is often seen as an outcome of stress, low self-esteem, anxiety disorders and even depression. A team of American experts suggest that women with bulimia establish a different relationship with food as compared to other women. The study was published in the journal of Abnormal Psychology and found the blood supply to a part of their brain to have decreased under a stressful event. The same may hamper critical thinking. It was also noted that bulimic women have the tendency to turn to food in order to stave off or battle negative thinking. The part of the brain where decreased blood flow was monitored is linked to self-criticism and reflection. 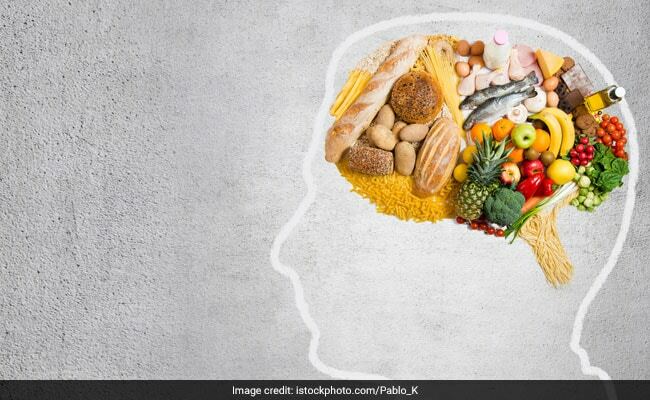 A decrease in blood flow in this region, in the presence of food, exhibited a pattern that suggested food as a catalyst in reducing negative thoughts. One of the best ways to battle bulimia is through a changed mindset toward food. Making minor tweaks in your lifestyle and eating habits can go a long way in not only getting you back on leading a healthy lifestyle but also defeat the condition. Here are some points that must be kept handy. - Opt for low-cal yet energy-dense, satiating foods that will provide you all the essential nutrients and help you feel full as well. - Your diet must be enriched with carbs, proteins, fibre. Load up on nuts, seeds, dairy, poultry, pulses, green leafy veggies and fresh fruits. - Eating disorders are a great deal about your emotions and mental health. Learn how to slowly disassociate your emotions with food and cravings. Get informed and make informed lifestyle choices. - Have foods that help in releasing serotonin and uplift your mood. "Many foods have been known to support the nervous system during times of stress. These foods may have an effect on neurotransmitters in the body, such as the hormone serotonin, which is why they generate a "feel-good factor" factor," as mentioned in Healing Foods, Dorling Kindersley. Once you feel emotionally good, your relationship with food and self-image is likely to get better. - Foods that may help: oats, pumpkin seeds, honey, bananas, raisins, fennel, tomatoes, sesame seeds, mushrooms, tofu, mung bean, snow peas, fish among others. - Get in touch with a certified nutritionist to get a tailor-made meal plan for you and help you battle the condition, naturally.